So many Thanksgiving leftovers and so little room in the fridge and your belly. My advice? DRINK THEM – with the help of fabulous post-gobble drink recipes below. Categories Cocktail of the Week, Look What I Found! Method: add all ingredients to a mixing glass and stir with ice until chilled. 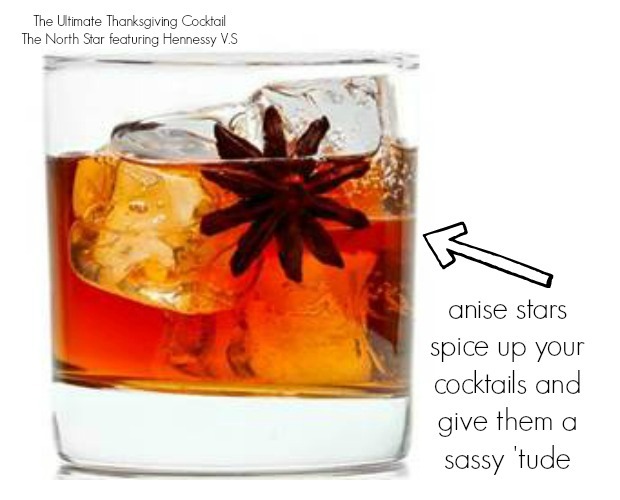 Strain into an old fashioned glass without ice and garnish with a star anise.